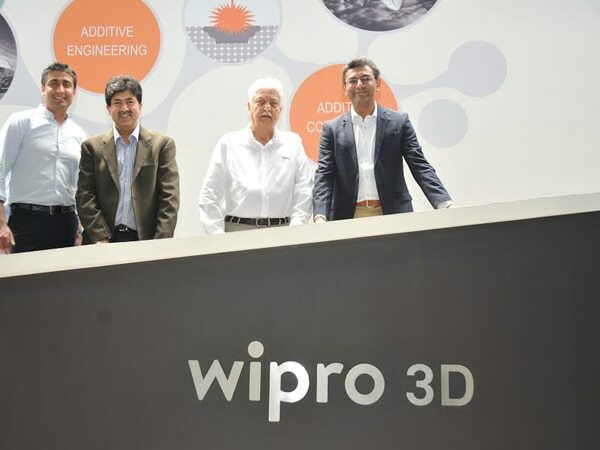 Wipro3D, the additive manufacturing arm of the India-based Wipro Infrastructure Engineering launched a metal 3D printing solution and experience centre at its base in Bengaluru. The inauguration was carried out by Wipro Chairman, Azim Premji. Wipro3D was established in 2012 in Bangalore, and since then it has become a leading provider of metal Additive Manufacturing solutions throughout India. Wipro offers solutions such as AM consulting and road mapping, AM adoption, component realization services, finally moving up to design and deployment of captive AM centres. The state-of-the-art 12,000 square foot facility in Bengaluru is incorporated with capabilities like leading edge build technology, post-processing, research, characterization and validation facilities. It is India’s first fully integrated metal additive manufacturing facility recommended with AS9100 Rev D certification. Wipro3D today offers standard and customized Additive Manufacturing solutions, products and services, to industries including Aerospace, Space, Industrial, Automotive, Healthcare, Oil & Gas and Heavy Engineering. Wipro boasts of strong partnerships with global giants like EOS, a Germany -based global technology leader for high-end solutions in the field of additive manufacturing (AM). This enables industries to choose Wipro3D as their first choice of solution provider. The metal 3D printing solution and experience centre is a step by Wipro towards establishing a global presence in the young additive manufacturing industry.